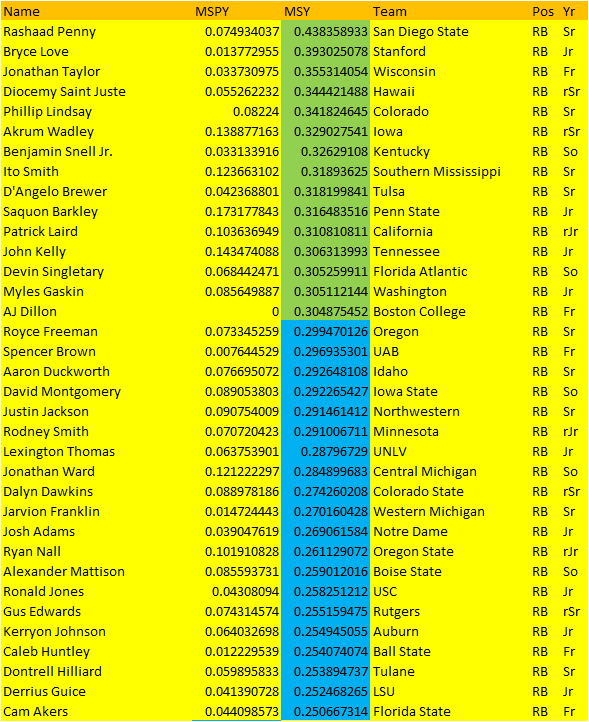 Here are the skill position players who popped the most based on market share data in 2018 based on all data since 1969. Terms and definitions are as follows. 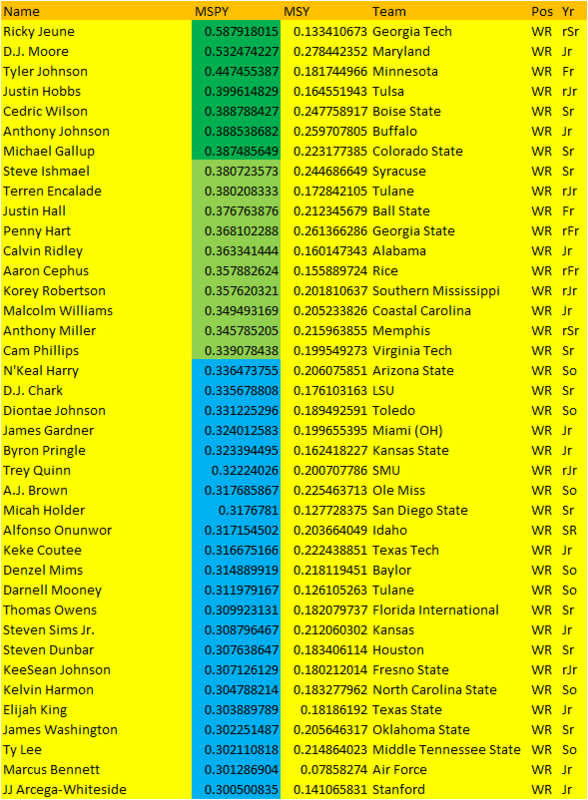 MSPY: Is individual receiving yardage divided by team total passing yardage. 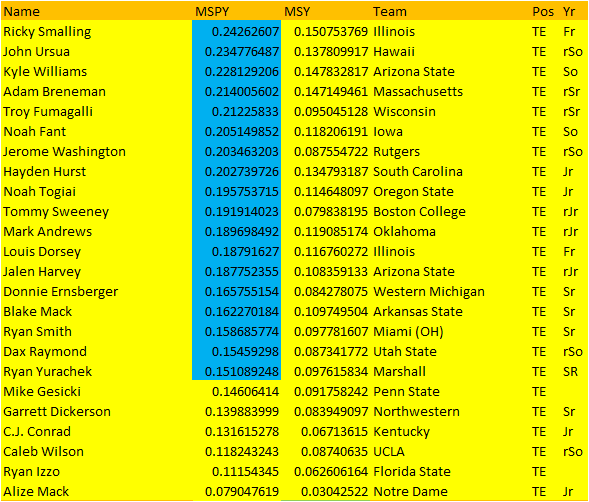 MSY: Is total yardage (receiving+rushing) divided by team total yardage. Color codes represent different quality potential thresholds. Dark Green: 95% of all All-Pro players reached this level of market share production since 1969. Light Green: 95% of 5-Time Pro Bowl players reached this level of market share production since 1969. Blue: 98% of long-term starting players reached this level of market share production since 1969. With the definitions out of the way, here are the skill positions.